If you're Jaipur, don't leave without going on a Jhalana Leopard Safari. What makes Jhalana special is that you get to spot leopards at an arm’s distance in their natural habitat. They say that like you don’t go back without spotting a tiger from Ranthambore, you don’t go back without spotting a leopard from Jhalana. The wildlife reserve is spread over an area of 21 square kilometres; it’s a picturesque forest surrounded by the city on all sides, yet offers ample opportunities to have a glimpse of its splendid elusive predator. That is because, the adaptability and behavioural flexibility of leopards allow them to survive near villages and human settlements. 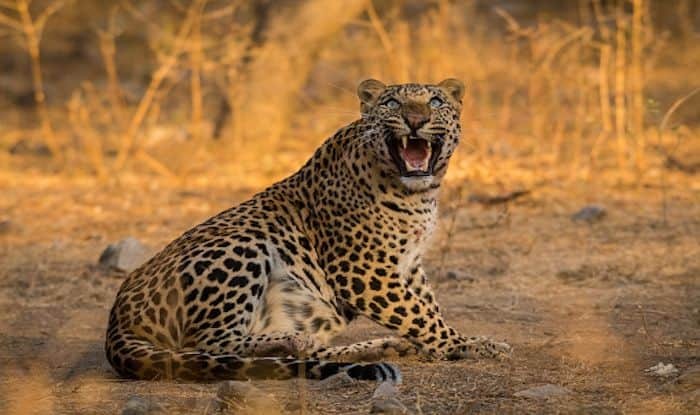 Apart from leopards, Jhalana has other wildlife as well such as the striped hyena, desert fox, golden jackal, chital, Indian palm civet, spotted deer, jungle hare, desert gerbil, blue bull, rhesus macaques, and the mammalian squad. The reserve is a birder’s delight as well, with a huge variety of avifauna that you can spot including the Indian pitta, dusky eagle, owl, spotted owlet, Asian paradise flycatcher, golden oriole, Eurasian sparrow-hawk, shikara, nightjar and white-bellied drongo. Pre-booking a safari here is absolutely important. The safari guides and naturalists are well-trained and highly qualified; their local knowledge of the terrain, coupled with their in depth knowledge of wildlife behaviour makes the safari an enriching experience. Jhalana is perfect for any body who wants to indulge in off-roading, nature trails, wildlife and big cat safaris. An open gypsy safari is a great way to experience the wild with the Aravalli’s as your backdrop. The park is open all round the year and sightings are possible almost everyday. The best time to visit though is from September to February, when the weather is cool here. Jhalana Safari happens twice in a day; once in the morning and then in the evening. The nearest airport from here is the Jaipur International Airport, about 6km away.